How to shorten the Flipkart affiliate link? - Can we hide Flipkart Affiliate Id from product url? Is it possible to hide Flipkart Affiliate Id from product url? How to shorten the Flipkart affiliate link? 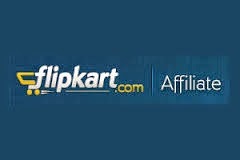 Do you have Flipkart affiliate account? Inorder to create an affiliate link for a product displayed on flipkart, your should appened "?affid=MY_FK_AFFILIATE_ID" to the product url. When to append ?affid=**** or &affid=**** - As a general rule, ? is allowed to be used only once in any url. If a ? is already present in the link/url, all other parameters that follow after the ? need to be prefixed with &. Is it possible to hide the Flipkart affiliate ID from website visitors? Currently it is not possible. On registering to Flipkart's affiliate or associate program, the affiliate ID is generated based on your Name or email address and it is not editable. So it would be better if you use email addresses which may not have your personal infos on that ( For example do not use emails like FirstName.lastName@gmail.com). In the case of amazon affiliate program, they allow us to create multiple affiliate id linked to a primary affiliate account. HOW TO SHORTEN FLIPKART AFFILIATE LINKS? Copy a Product url from flipkart and paste on Text box , then Click on Generate button, this is attach your affiliate ID with the url. Don't have a Flipkart affiliate account? Click here to register.